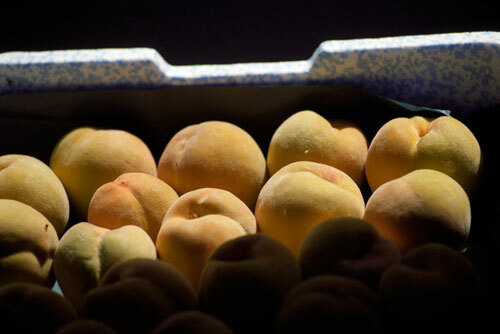 Peaches originated in China and were brought to the Middle East in pre-Christian times via the Silk Road. The Golden Queen is reputed to have first been grown in New Zealand in the garden of a Mrs Reeves in Tauranga. Velvety skinned peaches were once popular for bottling. The fruit can be ‘freestone’, where the flesh easily separates from the stone, or ‘clingstone’ varieties.